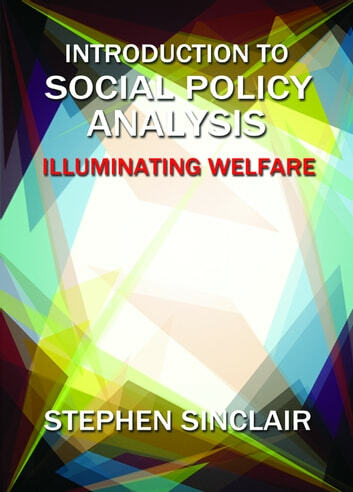 In this distinctive introduction Stephen Sinclair illuminates the subject of Social Policy by showing readers how Social Policy analysts think about welfare issues and policies. From what influences the decision to have children to how everyday terms such as ‘youth crime’ or ‘poverty’ reveal the structural processes shaping society, the book illustrates the insights which Social Policy analysis offers to understanding the social world and its problems. 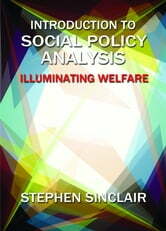 Written by an academic with extensive experience of teaching Social Policy analysis to new audiences, the book provides a stimulating introduction to the study of the factors and polices shaping wellbeing. Each chapter includes boxed summaries, applied examples illustrating key issues, and bullet points clarifying key concepts and theories.